D. Carl Lustig, III is a member of the Manhattan law firm of Arye, Lustig & Sassower, P.C., and concentrates in handling the trials and appeals of major personal injury cases on behalf of plaintiffs. His primary area of concentration is construction accident litigation under the New York State Labor Law. Mr. Lustig has written law review articles that have appeared in the New York State Trial Lawyers Institute publication, The Trial Lawyers Quarterly, and other legal periodicals. 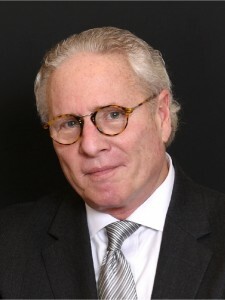 He has lectured extensively for various entities including the New York State Trial Lawyers Institute, The Practicing Law Institute, the New York State Bar Association and Yale University and has served as co-chairperson of a number of lecture series for continuing legal education in the area of personal injury trial practice. He has also lectured for the National Institute of Trial Advocacy program at Hofstra University School of Law on Trial Techniques, and at St. John’s University School of Law on Alternate Dispute Resolution/Mediation in personal injury cases. Mr. Lustig also has been an invited speaker at the New York State Judicial Conference. Additionally Mr. Lustig has lectured at the New York City Bar Association in their continuing legal education seminar on trials of civil cases. Mr. Lustig is a member of the Board of Directors of the New York State Trial Lawyers Association and the New York City Trial Lawyers Association and has been elected to membership in the American Board of Trial Advocates. He is also a member of The American Association for Justice, the New York County Lawyers Association, the Million Dollar Advocates Forum, Best Lawyers and is a Fellow in the Roscoe Pound Institute. He was recognized as Lawyer of the Year by the Institute of Jewish Humanities and is a member of the Tort Advisory Committee for Supreme Court, New York County. Mr. Lustig was recently renamed as one of the Top 100 Trial Lawyers in New York State by the National Trial Lawyers Association for 2012. He has also been selected for the New York Super Lawyers list and he is rated AV (top rating) by Martindale-Hubbell. Lecturer at New York City Bar Assn. in their trial continuing legal education seminar on trials of civil cases. Topics: Opening Statements, Direct Examinations and Summations.